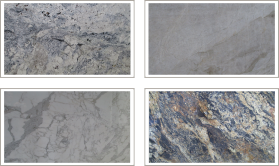 Whether you are looking for Marble, Granite, or virtually any other type of natural stone, you can find it here. If we don’t have it in stock, we have suppliers world-wide that we can call on to help you find it. You are welcome to browse our color selection online. We are currently in the development stages of our website but new inventory is added regularly so be sure to check back often!